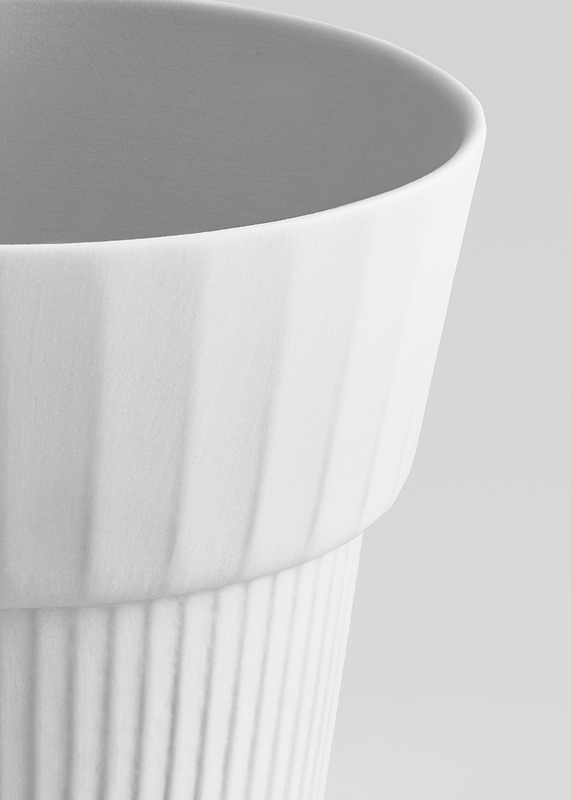 Bottom, wall, spout – their angle develops from passive to active and compose a carafe. 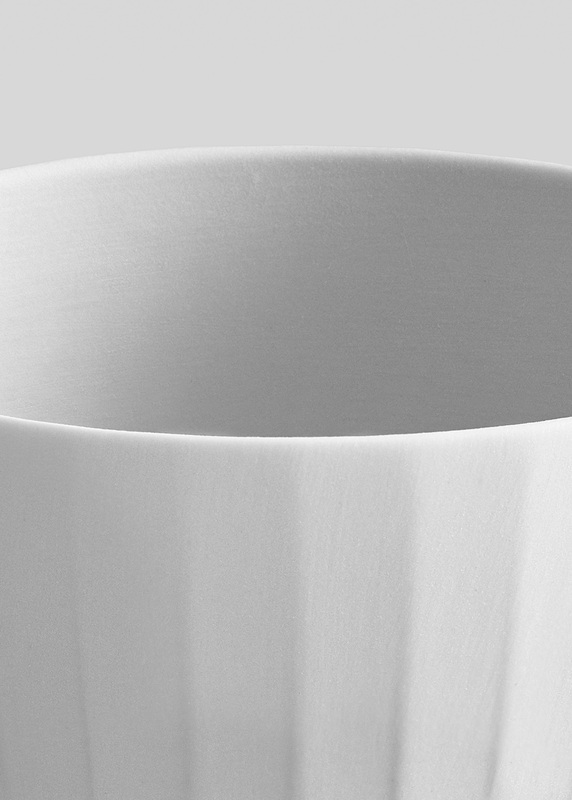 A circular bottom gently morphs into a wide, oval spout which generously pours liquids. 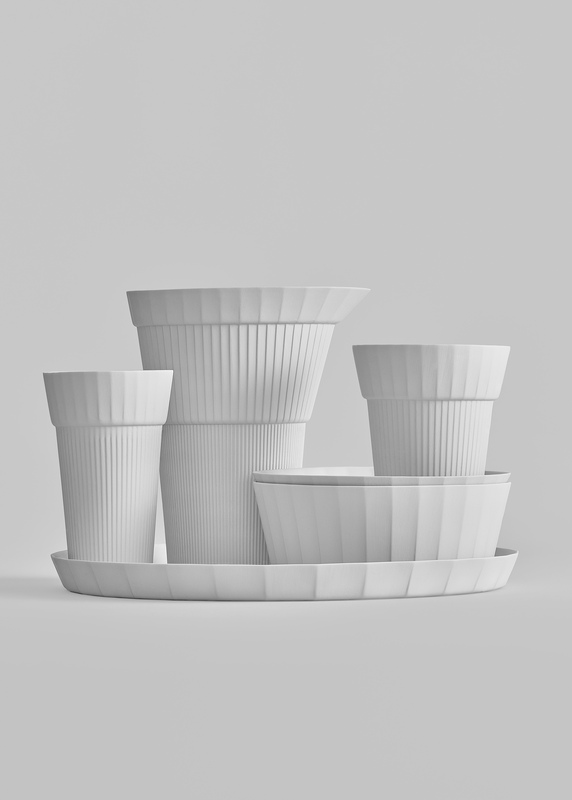 The UTSUÀ collection consists of highly functional tableware fit for everyday use. 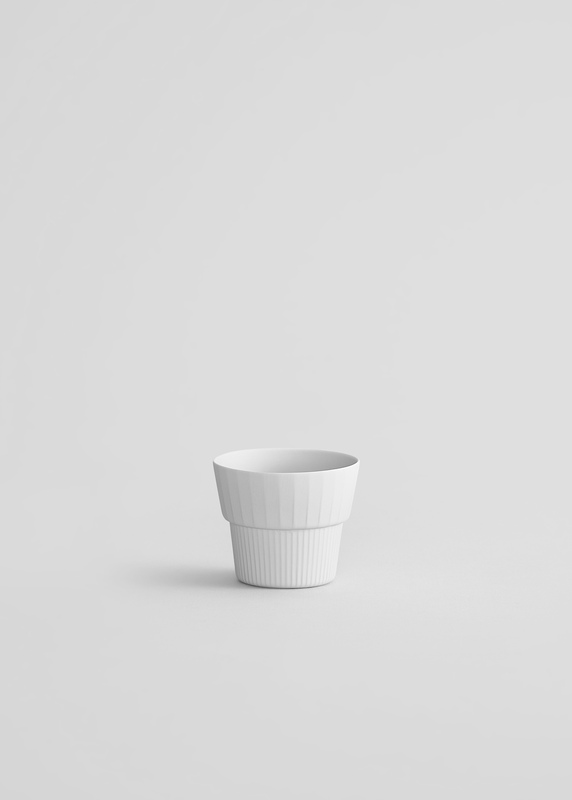 This relatively small cup is intended for a fine Saké or intense Espresso. 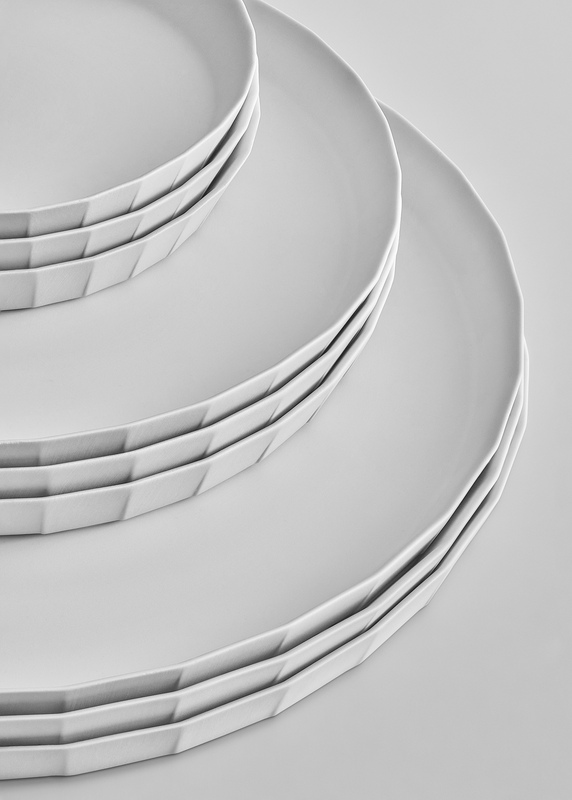 The subtle yet distinctive tableware blends in on any table. 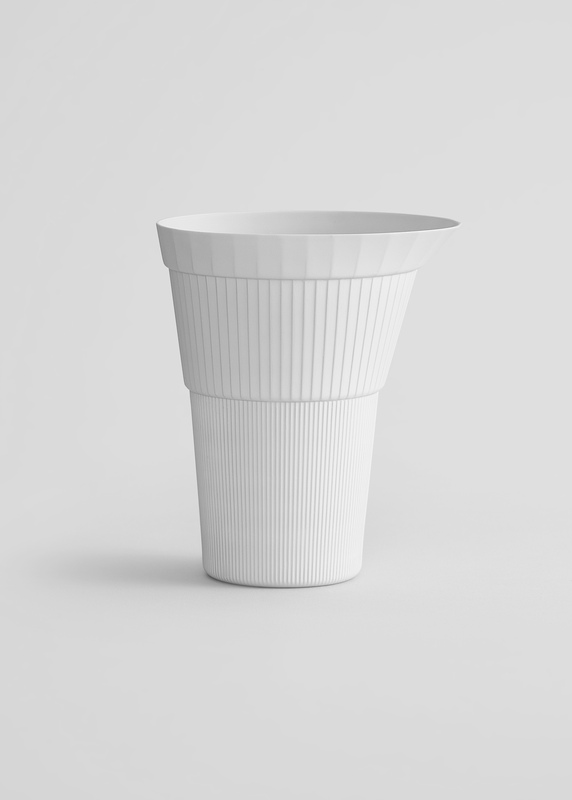 This is an all-round, highly adaptive cup that can be used day in and out for numerous drinks. 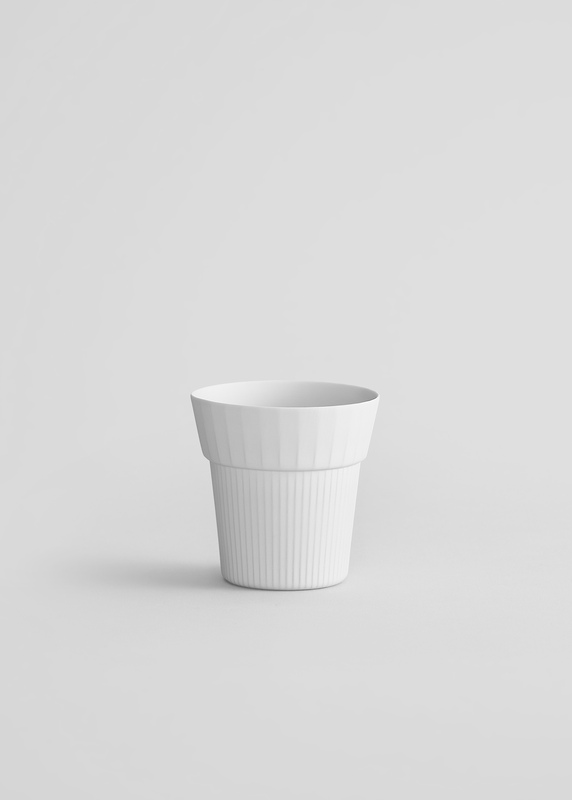 3D printed cups are used to make their mould. 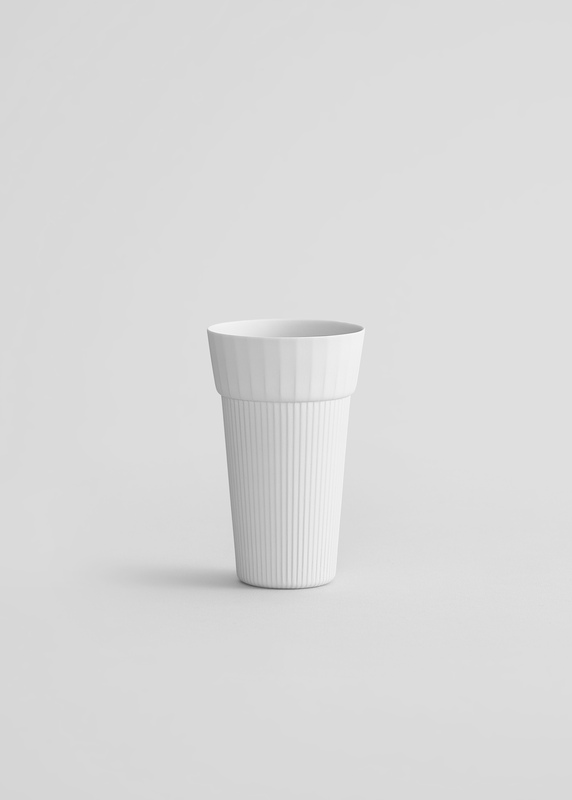 A tall and slender shaped cup, perfect for carbonated drinks ranging from soft drinks to beer. 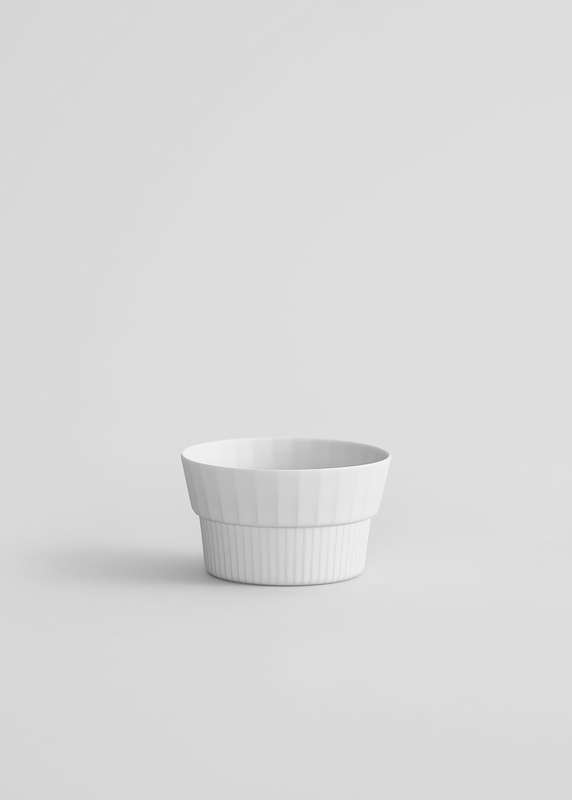 Porcelain does not give off any taste, which makes it a highly suitable material for serving foods. Its wide shape embraces (green)-tea, soup or even a dessert. 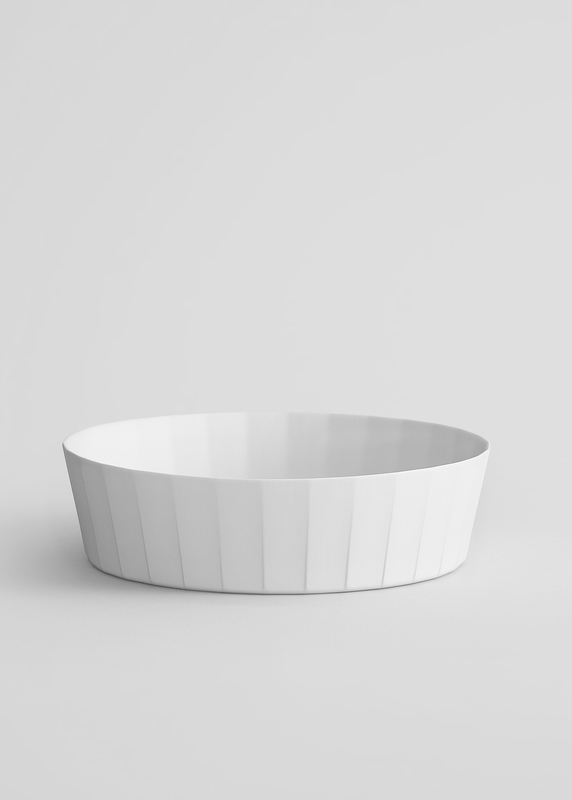 A versatile shape and size, optimal for serving a side dish. 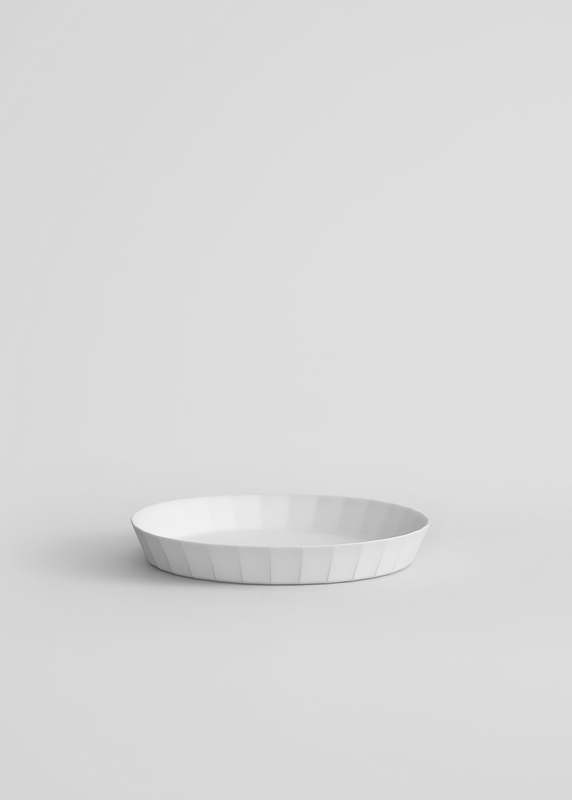 It also functions as a saucer. 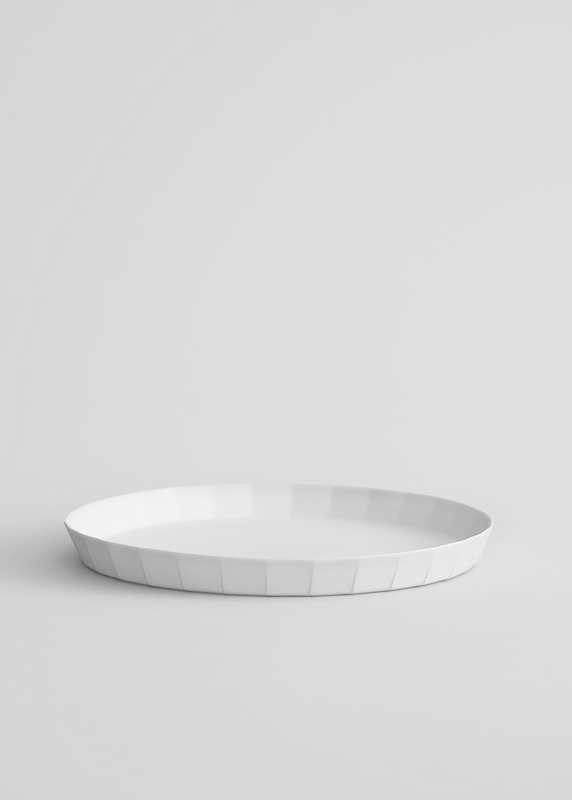 All plates double as a lid for the bowls. 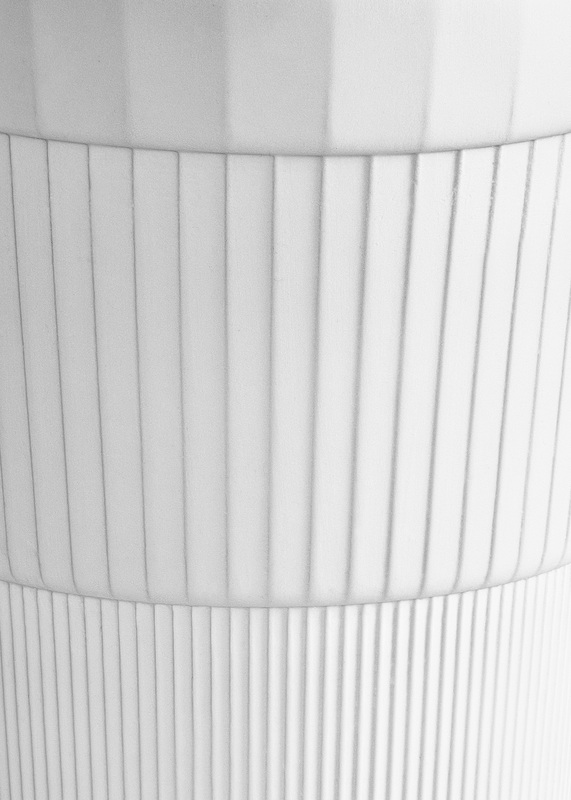 The characteristic facets are CNC-milled into the plaster mold in order to get the most accurate results. 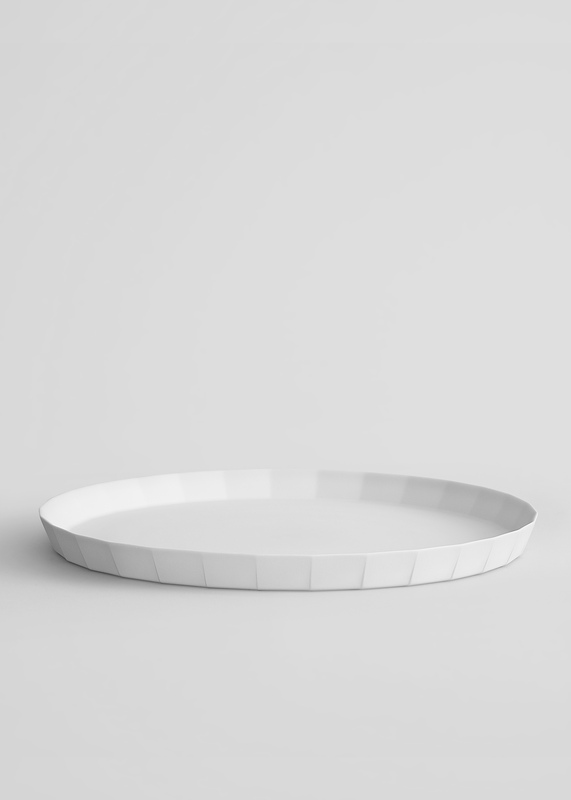 This middle-sized plate is intended for breakfast. 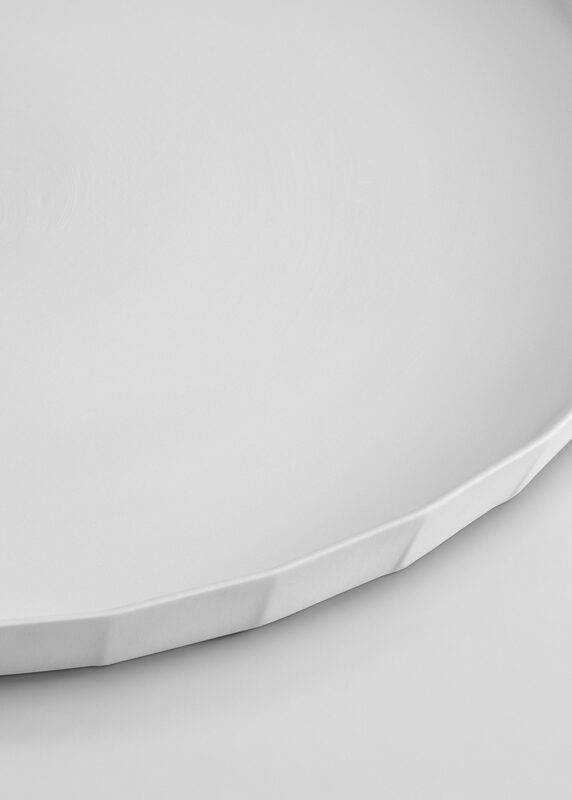 With the largest surface of the collection, Plate Large is intended to be used for dinner. 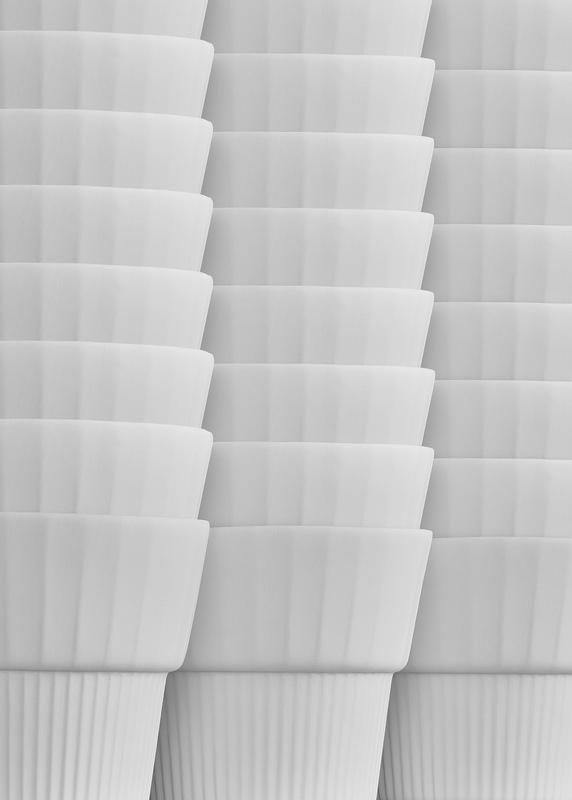 Its size and compact stacking makes it highly suitable for restaurant use. 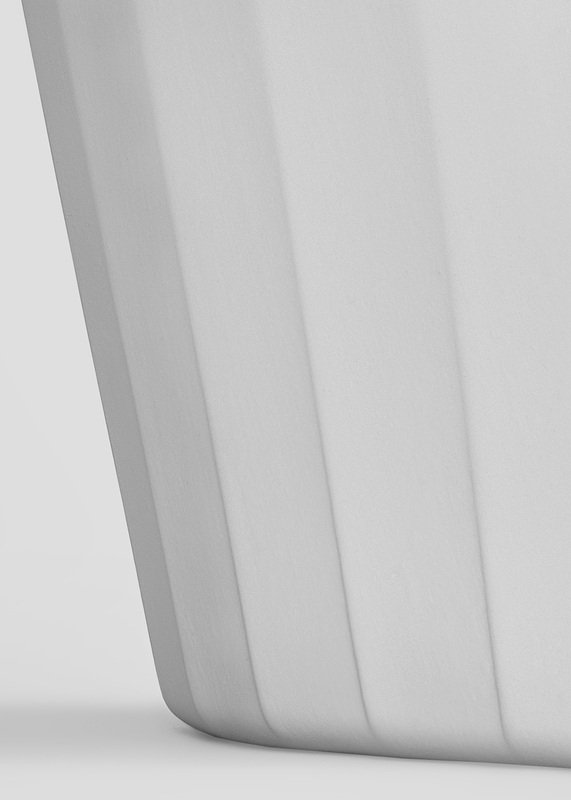 The production process guarantees two distinct qualities: the products are elegant and thin yet durable and practical. 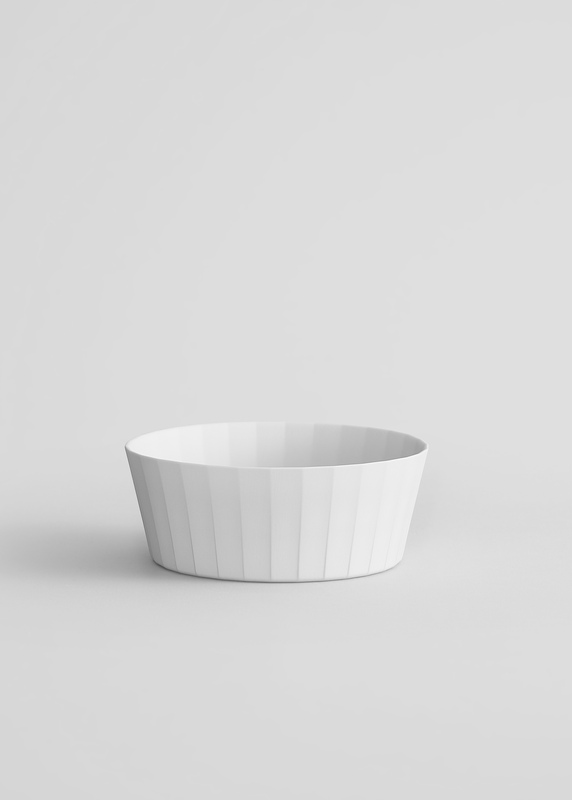 Bowl Small will serve from from dusk till dawn – cereal to ramen. 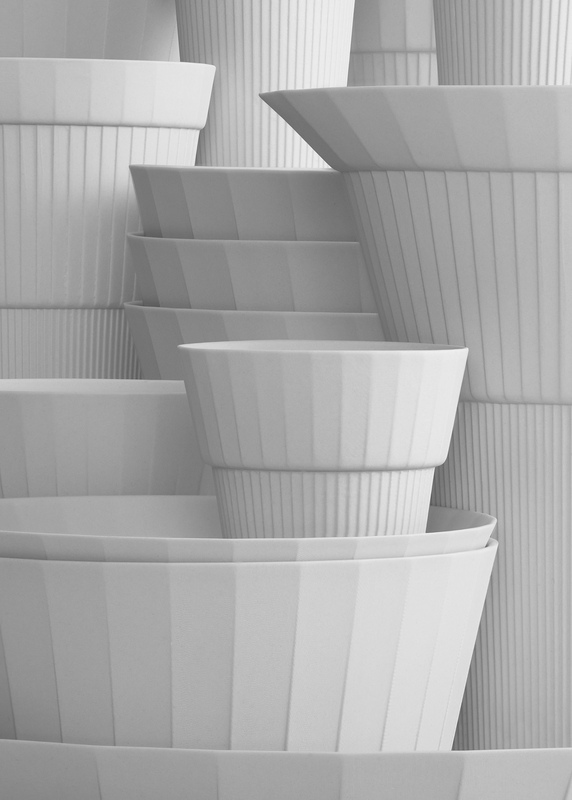 The facetted design is not merely decorative; it improves ergonomics, tactility and adds strength to the porcelain, preventing it to deform in the firing process. 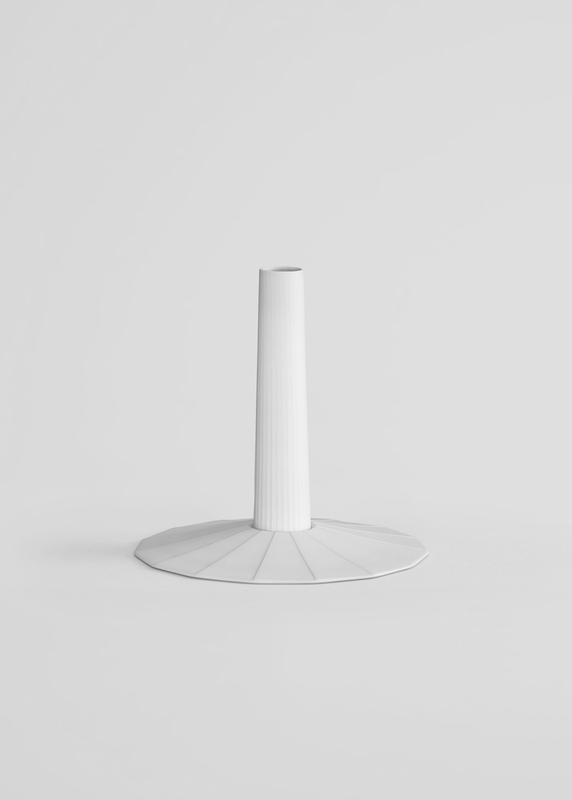 The wide foot offers stability, so this delicate vase can contain relatively tall flowers. The tube offers space for about one/two/three flower(s). 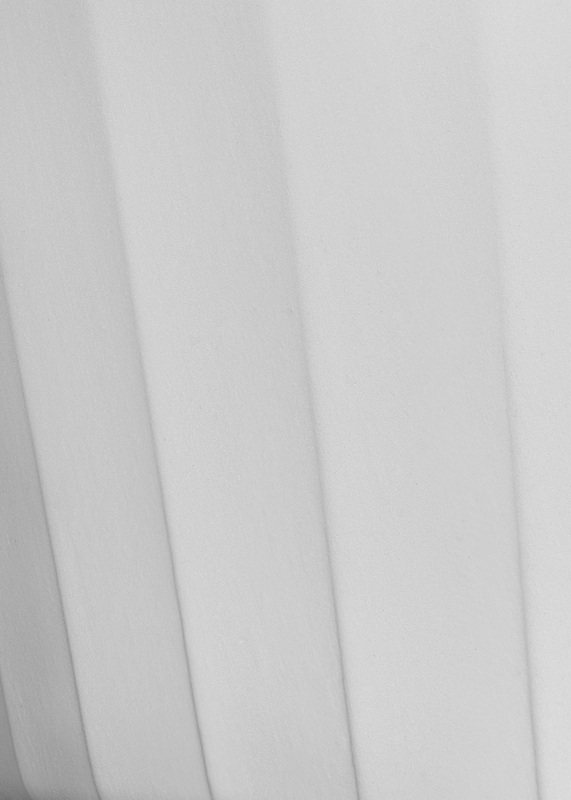 Proudly powered by WordPress	| Theme: utsua_arita_2019 by Sebastian Fehr.